We take the time to ensure that all of our customers receive the highest quality of service as well as unparalleled support from our knowledgeable staff. We aim to make every step of the process run smoothly from the planning, transportation of materials and installation of your new custom shed. When it comes to the installation of your new custom shed, we ensure to use proper techniques and the highest quality materials to keep your sheds lasting for a long time. We support every 4th foot on center with solid cement blocks for no extra charge. We use a solid one inch board instead of 3/4 inch plywood that many of our competition uses at no extra cost. 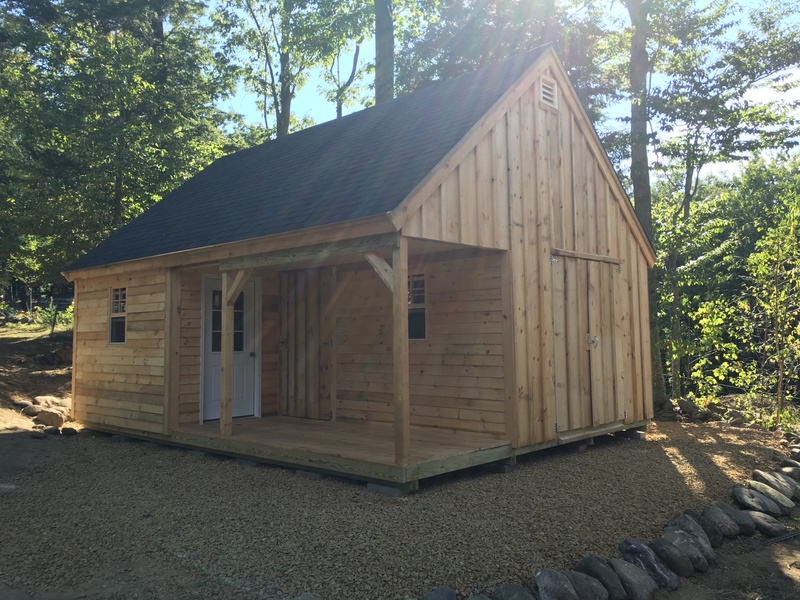 When it comes to materials we utilize 1 inch solid pine roof board that carries the length of the shed instead of plywood. We are not simply an installer service company. We understand that the process can require more work such as dismantling and removal of an existing shed to make way for your new custom shed. We provide removal services included in the final costs if you are purchasing a new custom shed from Ponderosa Pine Wood Products. Contact us today to get started and check out current specials going on this month.